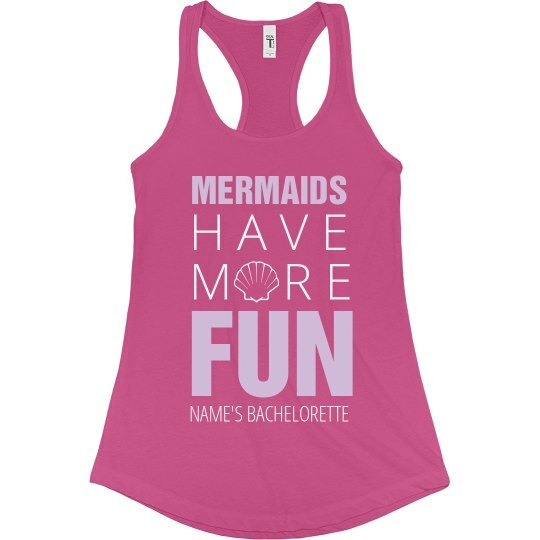 Mermaids have more fun! That means it's time to hit the beach for your bachelorette party. 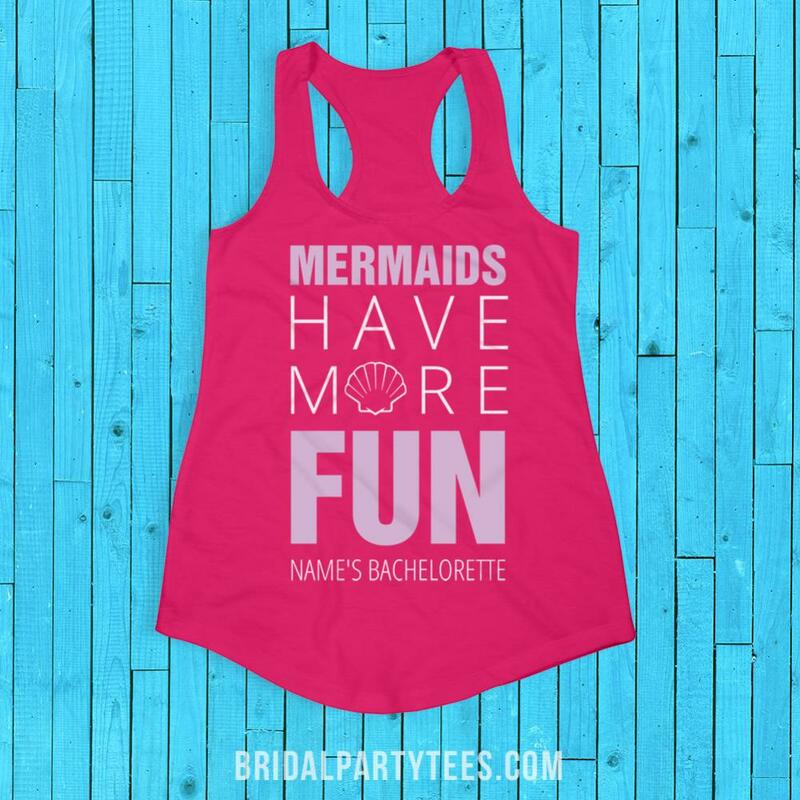 With these custom shirts, all of your bachelorette's can include your name to show who all of these mermaids are celebrating for!